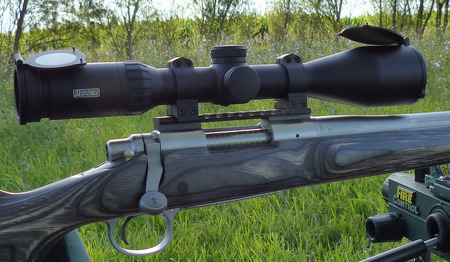 Will the Remington fire Blackhorn 209? Yes, superbly quite well, with no issues. Blackhorn 209, as you can tell from its name, is intended for use primarily with 209 shotshell primers. That's no different from Hodgdon Triple Se7en pellets, which Hodgdon has always said are for use with 209 primers only. A generalized statement like that naturally cannot take into account all breechplug designs, including breechplug length and flash hole diameters. The Remington Ultimate has a large, .041 inch flash hole diameter and is a fairly short breechplug, certainly short compared to the interrupted thread allegedly hand removable types. The sealed breech design, the large rifle primers, the short breechplug, and the large flash hole all combine to make the Remington Ultimate ideal for Blackhorn 209, or three  four 50 grain Triple Se7en pellets. Is the Remington a form 4473 firearm? Yes, the bolt has locking lugs, and that means you need to get one through a FFL holder. Not much of an issue, as the FBI reported that it performed an astounding 21,093,273 background checks last year alone. The switchbarrel genre of guns (Encore, Contender, Knight KP1) are all form 4473 arms, as are shotguns that have been used as muzzleloaders (Mossberg 500). The original Savage 10ML had locking lugs, yet the ATF ruled that it was a non-form 4473 arm, initially. Then, for no apparent reason, they changed their minds and the original Savage 10ML remains a form 4473 arm, while the 10ML-II is not. It is a remarkably stupid decision by the ATF, as muzzleloaders and large, heavy single shot rifles in general aren't used to commit crimes, even Captain Obvious knows that. It wasn't my idea. No, only organic blackpowder and propellants marketed as blackpowder substitutes for inline muzzleloaders. That means Blackhorn 209, Triple Se7en, Alliant Black MZ, and Pyrodex. "NEVER USE SMOKELESS POWDER" is stamped right on the barrel, as shown above. 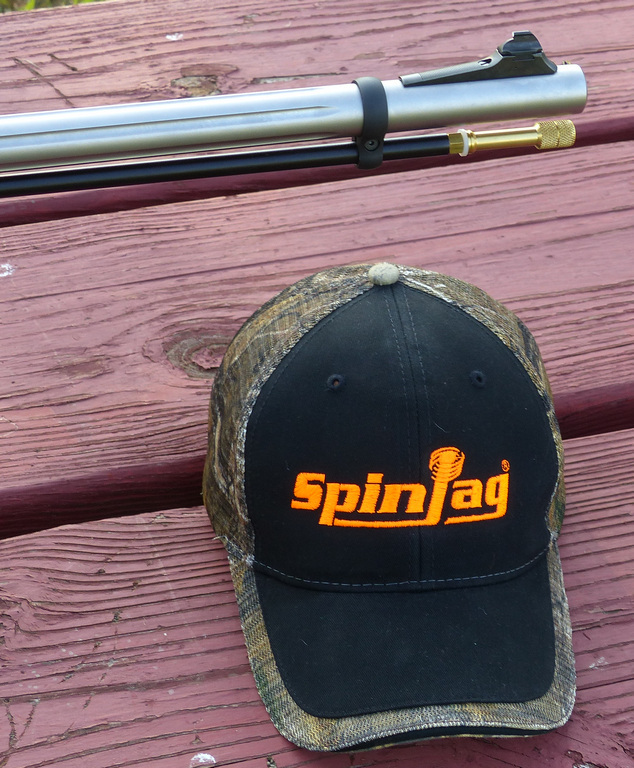 Are the supplied Remington 250 Accu-tip saboted bullets any good? Yes, they shoot quite well in my gun. The bullet essentially is the excellent Barnes 250 grain Spit-fire T-EZ flat base, but sized to .4485 inch. The green sabot is a proprietary Remington sabot, developed by MMP and Remington specifically for the Remington 700 Ultimate, and has a 25-30% higher tensile strength than any other sabot. What is the bore diameter? The barrels of the Remington Ultimate run about .5015 inch. What velocity can be produced with four T7 "50 gr." pellets and 250 grain Remington Accu-tips? The latest data is 2340 - 2360 fps with 4 T7 pellets instrumental velocity through the screens at 15 feet. Expect some variation from lot-to-lot of pellets. Pyrodex pellets clock slower than Triple Se7en pellets. How does this Remington Ultimate compare to the $3000 - $4000 Michigan Ultimate? The Remington 700 Ultimate is the better gun, as it fixes the numerous, critical design flaws of the Michigan Ultimate that are breechplug and primed brass related. The Michigan Ultimate uses large rifle primers in a large pistol parent case (45 Winchester Magnum). Naturally, large rifle primers that are significantly thicker than pistol primers don't seat properly, and repriming is a pain. Remington recommends repriming their brass 5 times, although they have gone up to 12 reprimes. The Remington brass, based on the .308 case, has a machined chamfer, for a better seal than just attempting to rely on a stamped flash hole, which was found sometimes not to seal at all in Remington testing. With the chamfer, the primed brass is seated correctly every time, not all over the map. Also, the breechplug itself seals better. The Remington breechplug is made from 416 stainless hardened to 58 HRC max, a harder and stronger breechplug than the comparatively soft 300 series Michigan Ultimate plug. The Remington breechplug is not only harder and stronger: it does not have the erosion problems associated with four pellet Triple Se7en loads of the Michigan Ultimate plug, according to Remington testing. The Remington breechplug, made from stronger, more appropriate parent material, and also has stronger threads. The Remington breechplug seats with an interference fit, meaning essentially a perfect seal. The Remington breechplug needs no removal at all in normal use. However, the Remington breechplug is service-removable by the owner, requiring about 80 ft. / lbs to break it loose. So, to sum up, yes: better brass, a better sealing system, brass that is designed for large rifle primers, brass that can be reprimed better and more often, and a harder, stronger breechplug with a fine thread that seals better, with a better flash hole design all combine to make the Remington 700 Ultimate breeching system far superior to its most immediate predecessor. The entire breeching system has been revisited, redesigned, and the end result is a very large, tangible, industry-leading improvement. What is the best load in my individual Remington Ultimate? Propellant: Blackhorn 209, from 100 grains by volume to 143 grains by volume. (Actual weight of 100 grains by volume Blackhorn 209 = 70 grains weight.) Recoil, according to my shoulder, is getting distracting with 143 gr. volume BH209 with 300 grain saboted projectiles, but is still manageable with 250 grain saboted bullets. Your own shoulder may tell you differently. Personal Favorite load = 91 grains by weight (130 grains by volume Blackhorn 209), Parker 300 grain Match Hunter or Barnes 300 grain Original Semi-Spitzer. 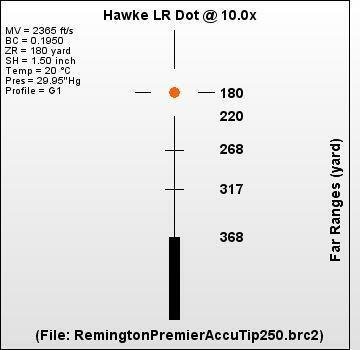 Above is the Hawke Optics "LR Dot" reticle as applied to the Remington 200 grains of T7 pellets / Remington Premier AccuTip 250 grain. Further specific loads will be published, but not piecemeal. In the case of Blackhorn 209, Remington / Barnes has already tested it extensively. The folks at Blackhorn 209 will be publishing "Remington Model 700 Ultimate Only" specific loads and velocities in the future. As time goes by, Remington 700 Ultimate owners will naturally come up with their own favorite loads, tailored to their individual rifles and their own personal preferences. Do I Want the Remington 700 Ultimate in laminate or in synthetic? That's going to be personal preference. The synthetic stock is essentially the Bell and Carlson Medalist M40 Varmint/Tactical Rifle Stock Remington 700 BDL Short Action with Aluminum Bedding Block System Varmint Barrel Channel that sells, stock only / no hardware, from Midway USA for $290. According to Remington, there is no discernible accuracy difference between the models. My preference is the laminated version: it sells for a bit less, includes iron sights, I like the cheek piece, and it is by far the better looking stock. I'm personally all worn out on the pervasive break-action hinge-pin hammer gun version of ugly. 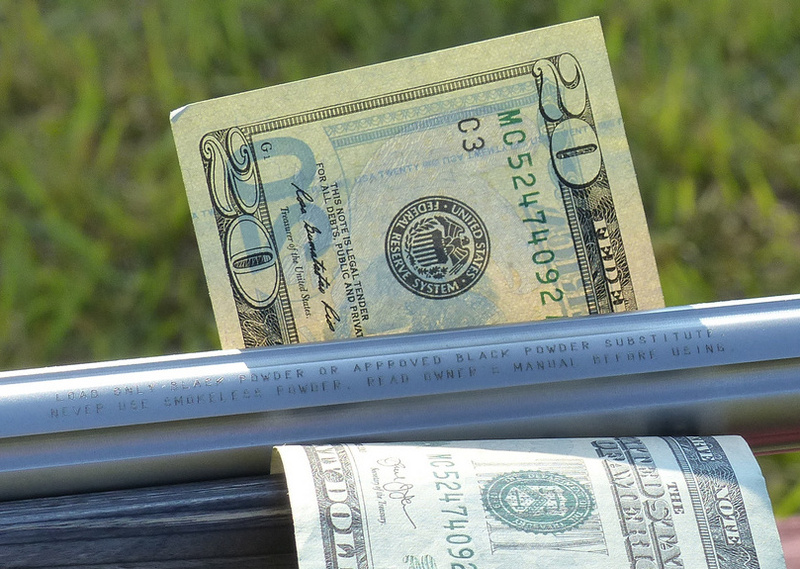 There seems to have been some sort of unofficial competition in the muzzleloading market as to who can sell the ugliest front-loader with the nastiest tupperware stock, the noisiest cocking, and the slowest lock-time. To me, the laminated Remington Ultimate Laminated is, by far, the best-looking production muzzleloader on the market. There is no performance-based reason not to go laminate and it sure is easy on the eyes, so that's my preference, but of course it is your choice. In the case of the laminated model, everything you need to shoot is in the box except propellant. In my case, after removal of the rear peep sight, I installed a Warne M673M one piece rail. Then, I used Warne Maxima medium height quick release 30mm rings to mount a Hawke Endurance 30 2.5  10 x 50mm scope with the illuminated LR Dot ballistic reticle. I also added a Gunn Innovations ramrod to replace the factory ramrod, above, which has a Spinjag attached. These are available from http://www.spinjag.com. Loose sabots for the Barnes Originals and Hornady 4500 HP are available from http://mmpsabots.com . Barnes Originals are a seasonal run, you can order those directly from http://www.barnesbullets.com . Parker Bullets are available from http://www.parkerproductionsinc.com . For more info on Warne, see http://warnescopemounts.com . For Hawke Optics info, including their excellent ballistic software, see http://www.hawkeoptics.com .